Tatler have listed Cowdray House as on of their top 11 wedding venues in the UK and one of our weddings from 2016 has been used in the feature photograph. 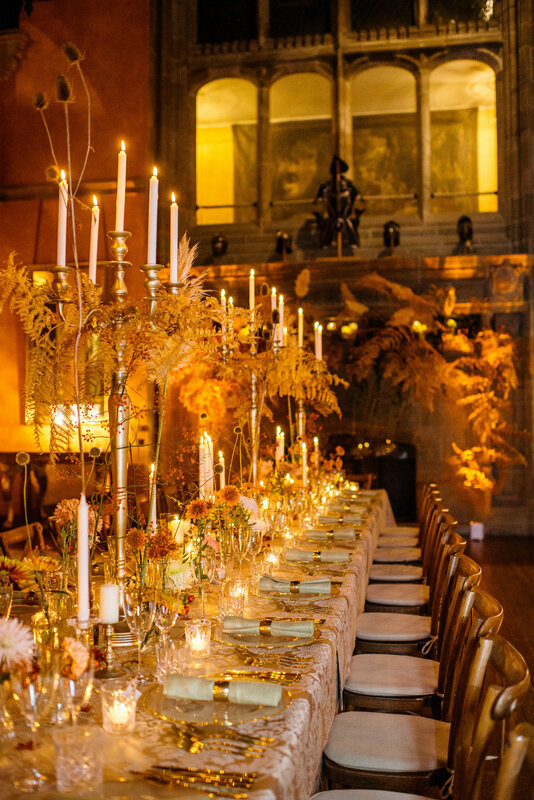 This autumnal dinner at Cowdray House, Cowdray Estate was incredible. Hosted by the fabulous team at Caper and Berry the event was for the leading lights in the wedding and event planning industry, who stayed at Cowdray House overnight. We used all British grown chrysanthemums from Hampshire and believe me these are nothing like the contrived chrysanthemums you usually find in supermarkets and garages. The colours were truly amazing and they were wayward and natural. 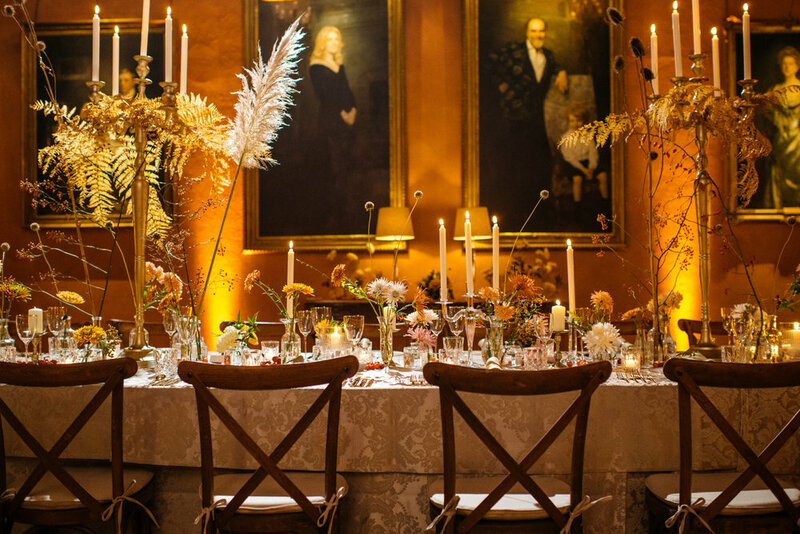 We foraged bracken and browning ferns from The Cowdray Estate and used them to dress the candelabra and the fireplace. The result was really beautiful and the planners loved it. I actually attended the event and the food and service by the incredible team at Caper and Berry was wonderful. What a magical evening in Midhurst! Hellebores are simply amazing plants, surviving the British winter and continuing to flower in sub zero conditions. I’ve been selling lots of these gorgeous plants all through the winter at The Cowdray Farm Shop and I think I’ve used them in most of my winter events and weddings. 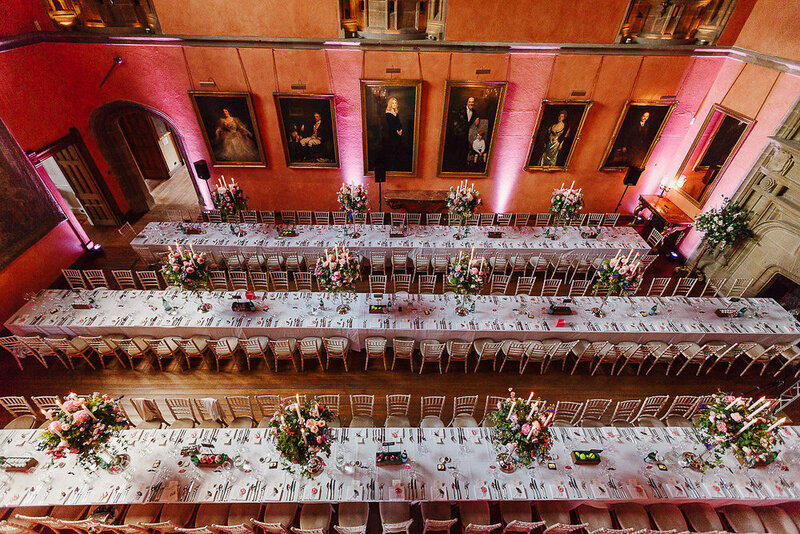 Well, here they are again in this lovely winter wedding at Cowdray House. We used plants on the table and cut hellebores in the bouquets tied with jasmine, paperwhite narcissi, white lilac and a sprinkling of floribundas roses. 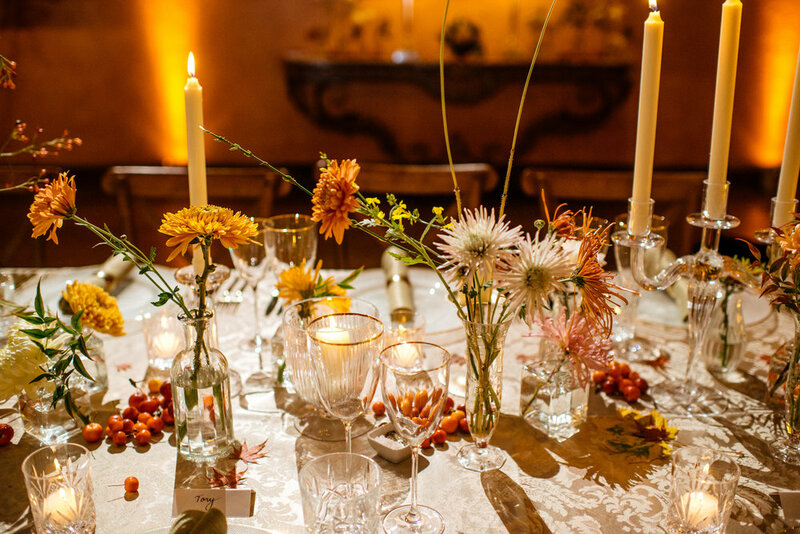 The floral candelabra, made naturally without floral foam, lined the banqueting table. The fire was lit and we dressed the huge stone fireplace with ivy and candles; it was a perfect and romantic small winter wedding. Archie’s caterers proved the wonderful food and hospitality.